Yes, the weather is much more cheerful than the cold, dark days of winter. However, your kids are out of school, which adds to the stress of summer. Unfortunately, parents make far more trips to the emergency room when their kids are out and about exploring the great outdoors in the summer. The injuries your children could sustain range from mild injuries like scrapes and bruises to severe, such as broken bones. Even if your kids don’t hurt themselves, they might be driving you crazy with their ever-constant presence. One of the best ways that you can relieve stress is by experiencing one of our therapeutic massage sessions at Inner Beauty Concepts. We feature massage therapy sessions that last from 30 minutes to two hours, and we have lovely add-on services for a customized spa experience. The different types of massage therapy services we offer include Swedish massage, deep tissue massage, trigger point, pregnancy massage, and more. If you are spending a significant amount of time outside, then make sure to wear your sunscreen. However, even if you do wear protection from the sun, its rays can still damage your skin. Breathe some life back into your skin with one of our customized facial treatments. 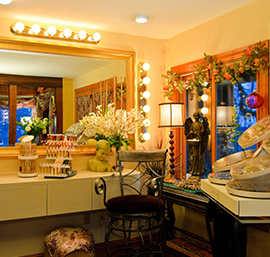 Our estheticians at Inner Beauty Concepts analyze your skin and and design a facial to address its unique needs. 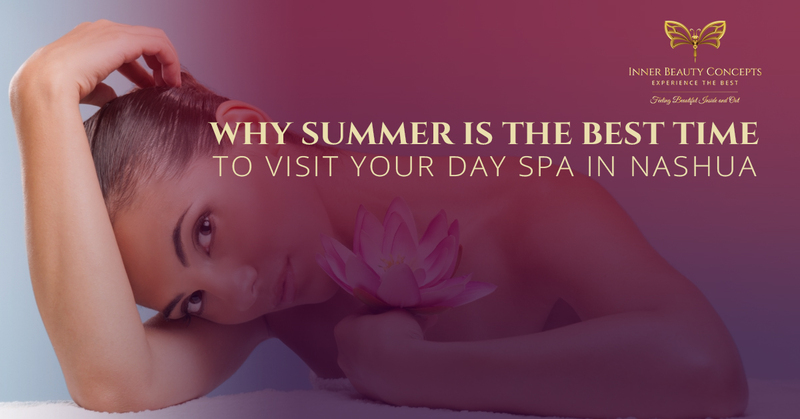 Our day spa offers facials for time frames as short as thirty minutes or as long as an hour and a half. For those of you who want to add a little extra glow to your skin, we offer an add-on double surface glycolic peel at an extra charge. If your skin is really suffering from some sun damage, then you might want to check out our skin peels, which are designed to improve your skin’s texture and appearance. Unlike other skin peels out there, our skin peels are not as harsh or irritating as others. Our skin peels can help lessen the appearance of fine lines, fade brown spots, and aid in healing blemished skin. Hyperpigmentation resulting from sun damage can be faded with our dermal peels and leave you with smooth, glowing skin. When the temperatures rise, you begin wearing less clothing, and your body hair becomes much more noticeable. Our estheticians are experienced in body waxing, so we can leave your skin silky smooth. Whether you need your legs waxed or desire a brazilian bikini wax, we can remove unwanted hair from your body. Treat yourself! 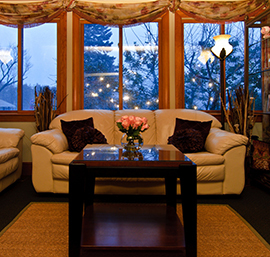 Contact Inner Beauty Concepts to set up some time to pamper yourself at our day spa in Nashua.